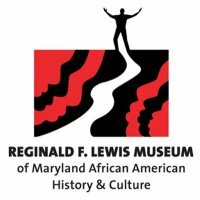 My son was four years old the first time he visited the Reginald F. Lewis Museum of Maryland African American History and Culture. * The Museum had just opened and we had been selected as the focus family so a reporter from The Baltimore Sun followed him and captured his excitement about experiencing black history for the first time. I remember that later that day he told me that he was proud to be black because being black meant something big. He said, “I’m going to do great things because I come from great people.” During that time, we made frequent trips down to the Museum and he became familiar with every exhibit, statute, and painting. I used to take him and his younger brother to the third floor, find a quiet corner, pull out an African American picture book, and we would sit there and read. They used to take their sketchbooks and sit on the floor and pretend to copy a painting or a sculpture. We would sit down in front of these amazing quilts and I would tell them stories about how black history is part of the American quilt and though we have had some very difficult times in this country, we are still a part of its fabric and our blood is mixed with the soil. I would tell them that we were the descendants of black men and women who chose to survive and in doing so they stood tall in the face of uncertainty, fear, and unchecked violence. They loved being at the Museum and I loved that they were surrounded by images of people who did great things who looked like them and who were all from Maryland. 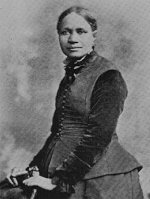 I wanted them to fall in love with black history so that they could begin to develop a healthy and positive black racial identity. I knew that when they started school and started studying American history more formally, they would be offered a slightly different interpretation of black history. People that looked like them would only be talked about in February and the lessons would only include the names and experiences of those who are often talked about during this time. I knew that when they were in their classrooms, they would not learn about the life of Robert Bell or Frances Ellen Watkins Harper; Vivien Thomas or Daniel Alexander Payne Murray; Cab Calloway or Billie Holiday, all Marylanders. I knew that they would only get this type of exposure and this type of learning from the Lewis Museum and they did. My sons are now as adept and comfortable talking about the richness of black history as they are with talking about white history. They do not see themselves as outsiders because they know they are descended from community of people whose contributions are stitched into the fabric of our nation. I remember the first time my sons saw Judge Bell in person and my oldest whispered to my youngest, “It’s him. It’s the man whose robe hangs in the Museum!” To them, Judge Bell was a hero and not just because of his contributions and his accomplishments but because his picture and his robe hung in the Lewis Museum—a place that celebrates and recognizes greatness. The years that my sons spent growing up in the Museum and learning about Maryland African American history firsthand have had a significant impact on their lives. They have learned how to be oak trees having grown up reading the stories of people who stood tall and stood firm. My sons are now twelve and ten. They are smart and talented and are proud of who they and are clear about who they are becoming. We visited the Museum two weeks ago and as they walked though there, confident and self-assured, I could not help but give thanks that there was a place here in Maryland where they could go and see what they could become. My sons laughed as they walked through there, remembering their days spent running through those hallowed halls. My oldest said that the Museum was like holy ground to them because over the years, it has served as a reminder of the beauty, the importance, the significance, and the richness of Maryland’s African American history. My heart leaped that day because I knew that no matter where life takes my boys, a piece of The Reginald F. Lewis Museum of Maryland African American History will go with them.